During pregnancy, it’s easy enough to become a ravenous chocoholic. You’re eating for two now, after all, and doesn’t baby need to develop an appreciation for the finer things in life? If you’re worried that your chocolate cravings are allowing a little too much overindulgence, good news. Those cravings may be keeping you — and your baby — healthy. According to new studies, eating chocolate during pregnancy can reduce the risk of preeclampsia and improves placental function. And that’s not all! It turns out there are plenty of good reasons to eat chocolate during pregnancy. So don’t feel bad sending your partner out at midnight for a chocolate bar that you need right this very second. It’s good for the baby. It’s science. Between raging hormones to an ever-morphing body, pregnancy can be a seriously stressful situation. One way you can lower your stress levels is through a little chocolate. Researchers found that eating dark chocolate daily significantly reduced stress levels. So put your feet up, and enjoy that chocolate bar sans guilt. Although there is nothing you can do to prevent a miscarriage, women who eat chocolate daily were found to have 20 percent less chance of suffering a first-trimester miscarriage. Chocolate is full of flavonoids, a powerful antioxidant that has some seriously great health benefits. Eating flavonoid-rich dark chocolate can help improve your immune system and cardiovascular health as well as reduce your blood pressure. Chocolate may just help keep those unnecessary extra pregnancy pounds at bay. Eating dark chocolate can help maintain healthy weight gain and lower cholesterol. In a recent study, women who consumed chocolate daily had a lower risk of developing preeclampsia, a serious medical condition that can cause premature birth, blot clots, convulsions and even death. 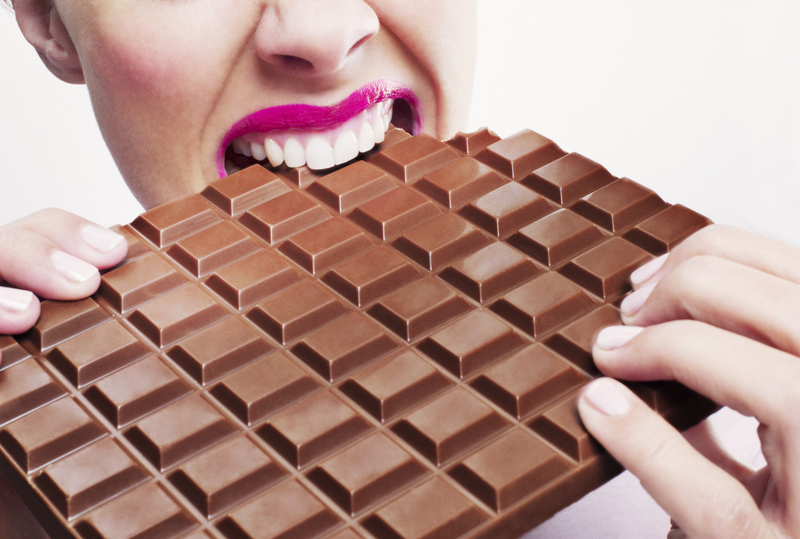 Eating chocolate reduced this risk by a whopping 50 percent. In the same study, women who consumed chocolate during pregnancy also benefited from better placental and fetal growth and development, so eating chocolate could mean an all-around healthier baby come delivery day.